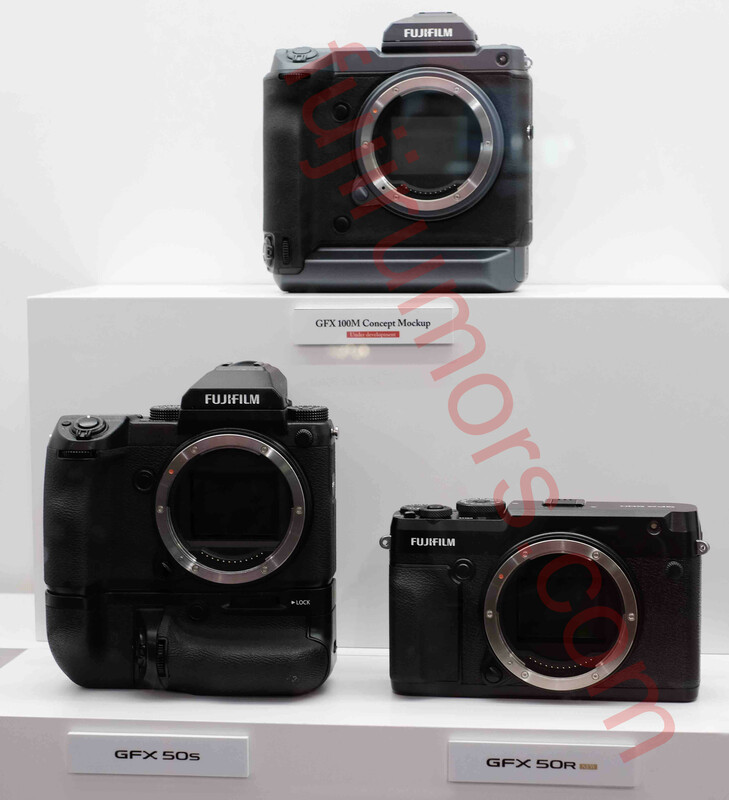 One thing I liked form the Fujifilm GFX 50R and GFX 100 live stream announcement, is that Fujifilm asked what full frame means. And just for fun I will tell you this: in German we often refer to “full frame” as “Kleinbild“, which means “small frame“, because it’s smaller than… guess what?… you got it, medium format! 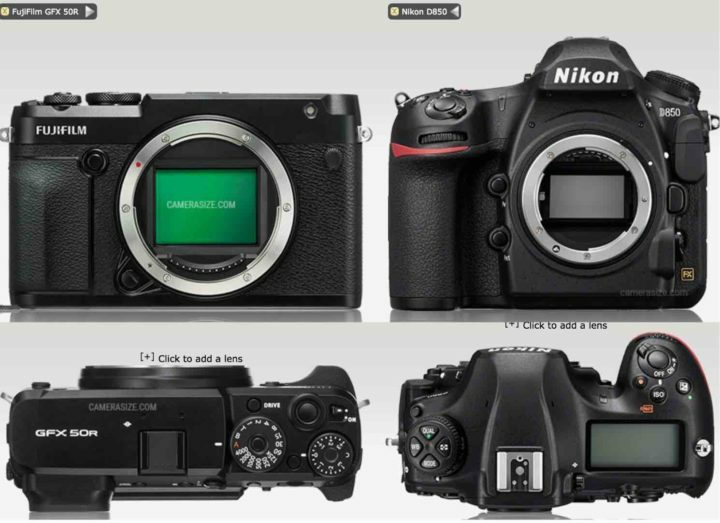 So what now, is full frame actually a small frame? In order to end the confusion, I will tell you this: every system is “full frame”. Fuji’s APS-C system is conceived and designed for APS-C, and so is their MF system. 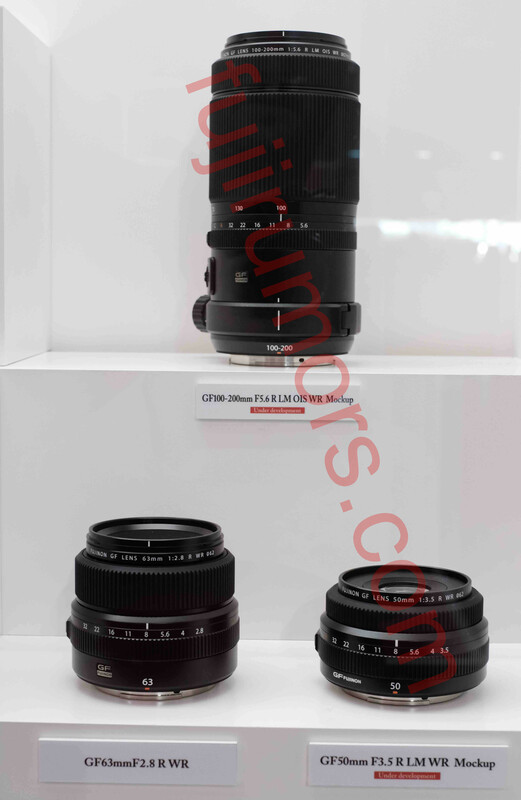 M43 is build around the M43 sensor and so forth. Whatever you hold in your hands right now, from an iPhone to Phase One, it’s “full frame”. 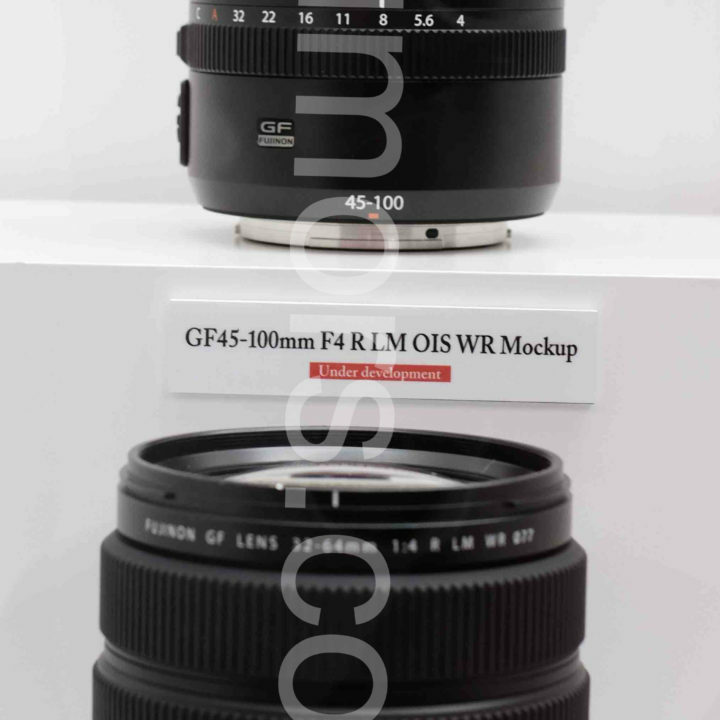 Above you can see a size comparison image I made between the Fujinon GF 63mmF2.8 and the Fujinon GF50mmF3.5. 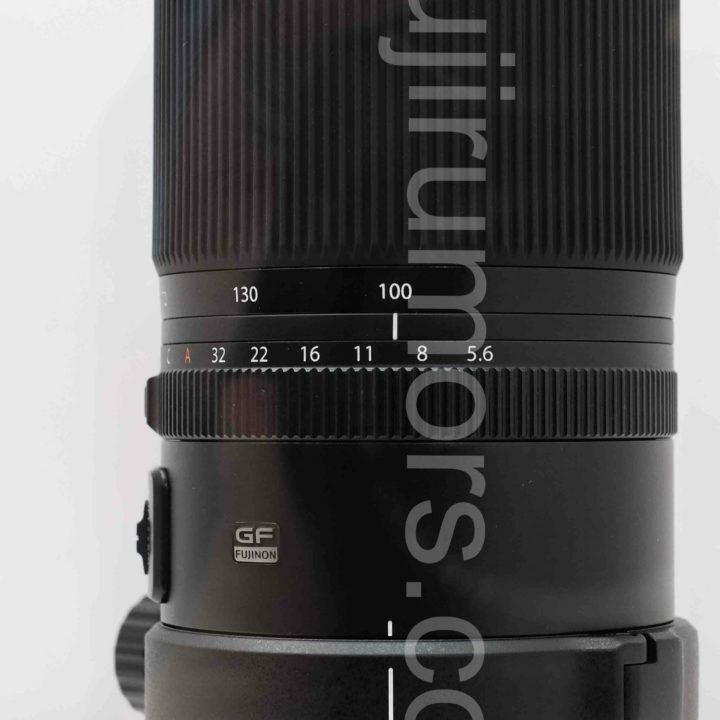 The GF50mmF3.5 is pretty much the perfect lens for the new rangerfinder-like Fujifilm GFX 50R. Down below more images also from the Fujinon GF 100-200mm F5.6 and the GF 45-100mm F4. 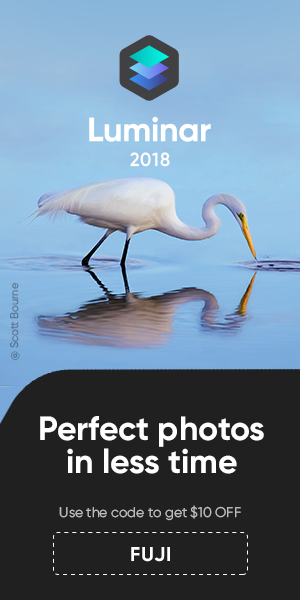 Photographyblog has also shared a couple of Fujifilm GFX 50R + GF lenses hands on images here. 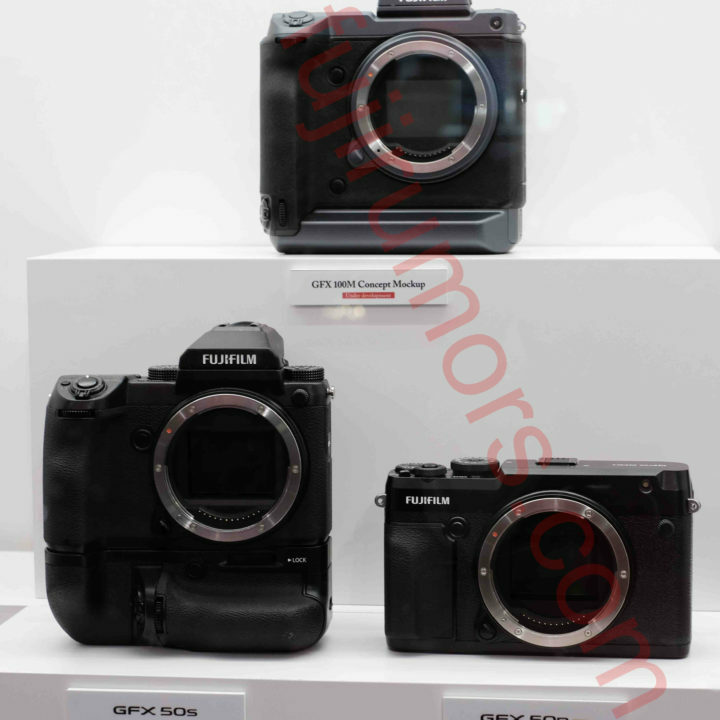 There is a Fujifilm GFX 100 protected behind the glass, and photographyblog photographed it here. The Fujifilm GFX 50R is finally available for pre-order at BHphoto, Adorama and AmazonUS. 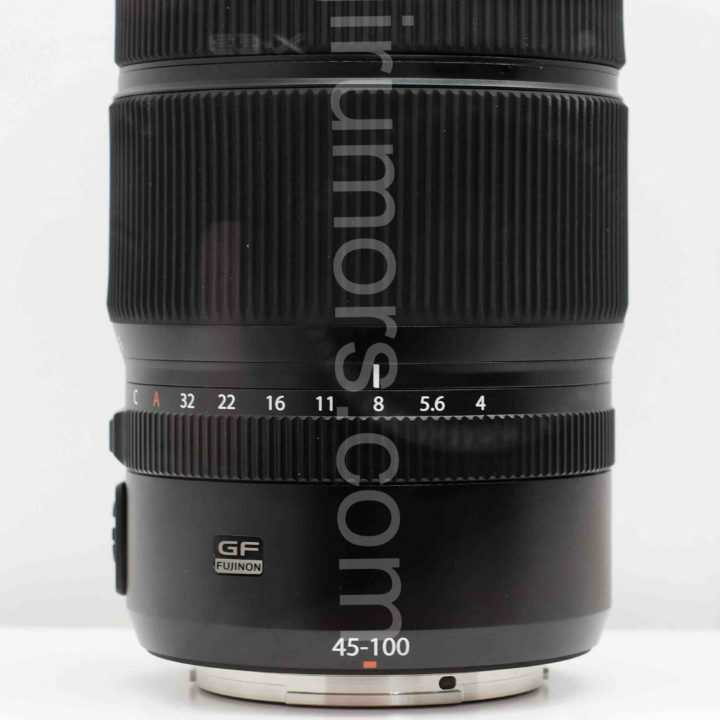 BHphoto also offers additional savings on top of the current GF lens deals. 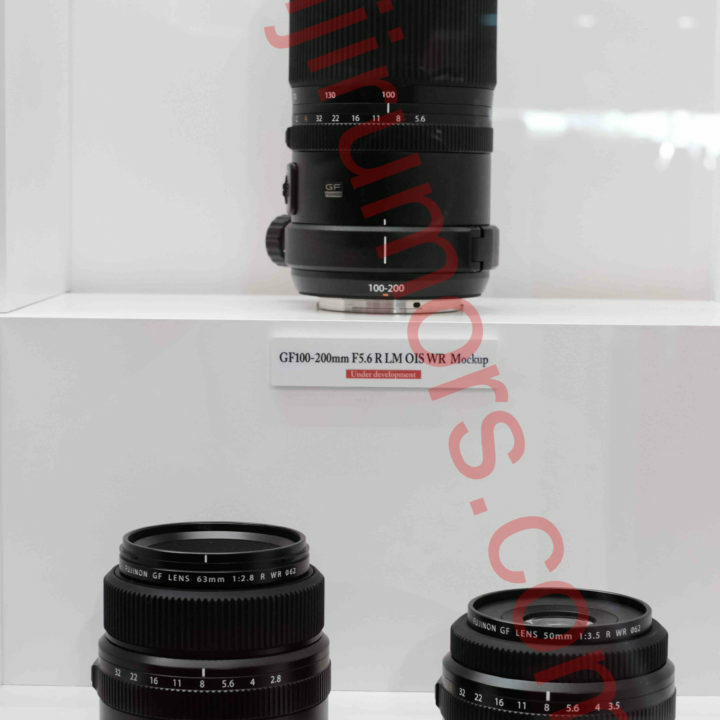 You can save up to $2,800 if you purchase the Fujifilm GFX 50R along with the GF63mmF2.8 (save $1,000), GF32-64mmF4 (save $800) and GF45mmF2.8 (save $1,000). 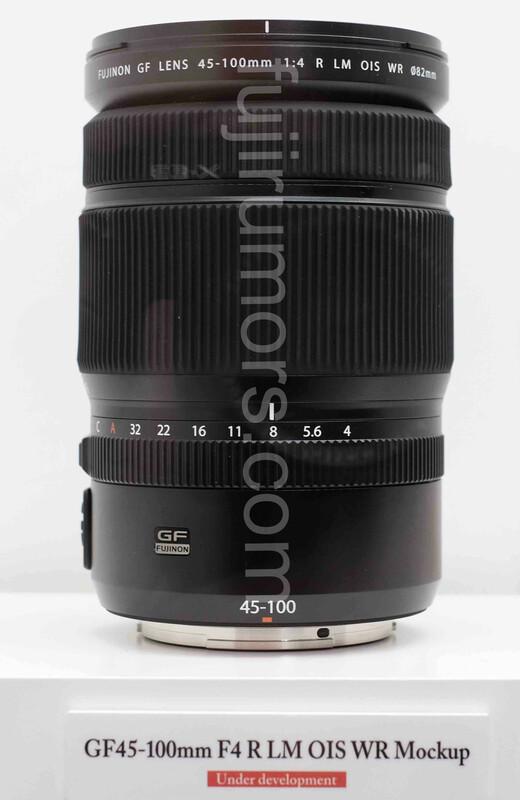 Also, here is the list of GF lens deals that will expire on September 29.